Three hours on the bus from Kathmandu brought us to our start point with Ratna (our guide) looking after us. After lunch on the beach (bread and noodles!) we set off in our boat… Our first day consisted of four hours of rafting and there were plenty of rapids to keep us occupied. The highlight of the rafting that day was a series of grade three rapids, these were pretty good fun even though I feel off on the last one. No harm done though as the safety kayaker was on hand to help. Towards the end of our day we reached a point where we could all take a leap into the river from a rock-face, a great final adrenaline rush of the day. After a great afternoon we reached our lodge on the riverside where we would be spending the night. The rest of the afternoon was split between relaxing in the small bar/lounge area of the camp or playing volleyball with our rafting guides by the river. There was a real holiday atmosphere for the whole day and it was nice to unwind. We arrived at our lodge in Chitwan in the late afternoon, having travelled from the rafting site. Our first activity was a local village walk, which gave us a great view of the local area and included a visit to an elephant sanctuary. After dinner we enjoyed a cultural dance show by a local community group of Tharu people. The stick dances were amazing and Sophie and Laura got up on stage with the dancers for the final act. They’re drama and dance students, what did I expect! The next day started early with a ride down-river in a dug-out canoe for some wildlife spotting. Amongst the highlights were the endangered long-nosed crocodile (I forget it’s actual name…) that eats fish and a number of incredible birds, including ducks that had flown all the way from Siberia! It was a very relaxed few hours on the water and seeing so much wildlife close up was very special. After our boat ride we landed on a beach a little way down and headed into the jungle on a safari walk. Almost immediately we were seeing fresh Rhino, and even a few tiger, prints! Around 40 minutes in we had a very close (and lucky!) 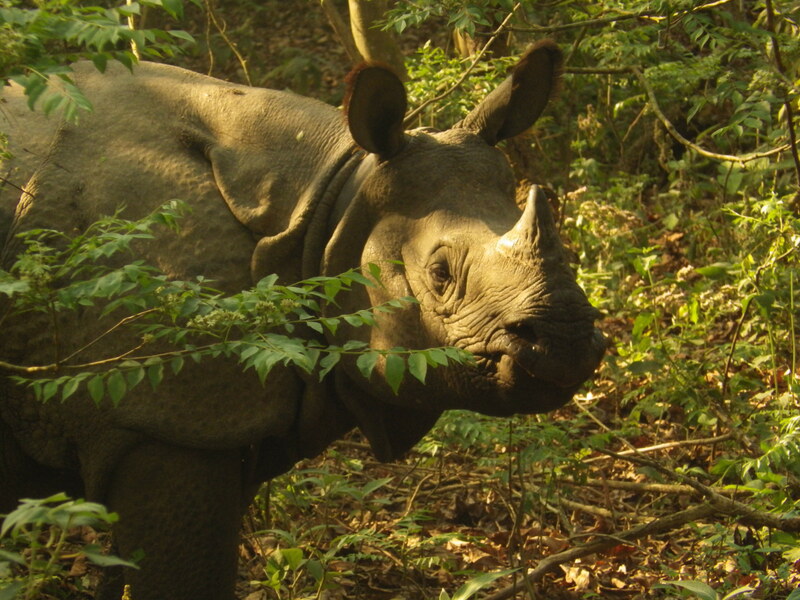 encounter with one of the park’s main attractions, a wild Rhino! We were about 20 meters away but I didn’t feel worried, there was a big tree to hide behind nearby! The rest of our walk was relatively uneventful, with only a few monkeys and some crocodiles to see. The heat crept up all morning and by the time we got back to the lodge it was roasting! 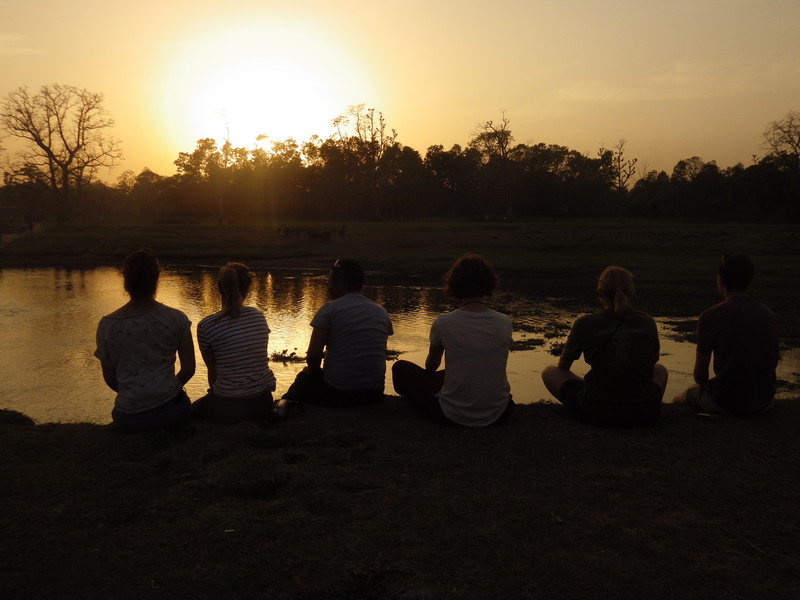 After a few hours break we got to the highlight of our time in Chitwan, an elephant-back safari! The group divided onto two elephants and we set off into the jungle, our elephants happily snacking on the way. After an encounter with a rather large deer blocking the path we came up close (the girls especially so!) with another rhino. We finished our safari just as the sun was setting and we were soon back at the lodge enjoying our last night in Chitwan. 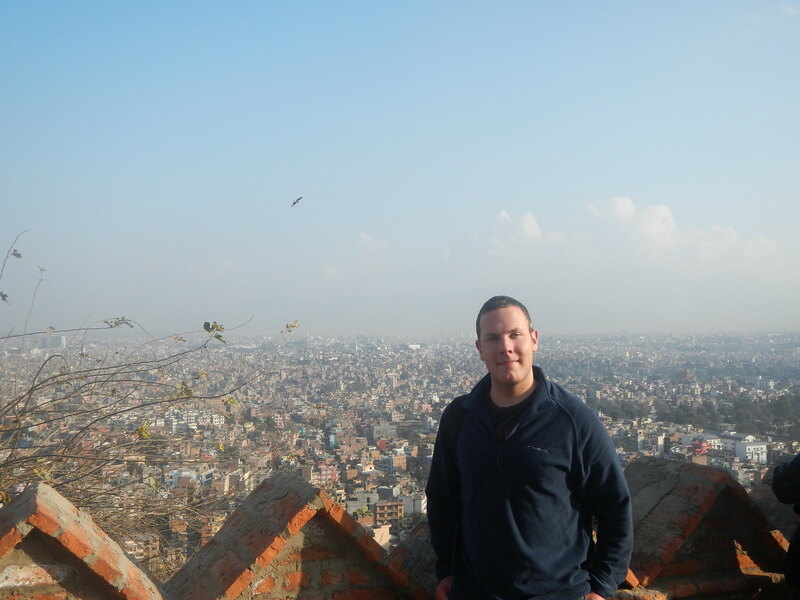 These are two excellent trips that are included as part of the Oyster programme in Nepal. In total, volunteers are away from Pokhara for three days.